I'd been wanting to add some Sarah Chapman products into my skincare routine for absolutely ages. For the uninitiated, Sarah Chapman is a world-renowned skincare expert with over twenty years of experience in cosmetic science. Her skin pefecting facials are loved by A-list celebrities everywhere with their combination of special massage techniques, innovative potent ingredients & cutting-edge technology. Back in 2008 she brought out her own skincare range called Skinesis which promised to deliver the same results as her super luxurious facials by combining the most advanced active ingredients with powerful botanical extracts. I'm normally more than happy to invest in products that my skin can really benefit from but for the amount of product you get, the Skinesis range is astronomically expensive. Luckily I managed to snap up a couple of her products a few months ago in the FeelUnique sale where they were a little more reasonably priced. I'm not quite sure why it's taken me so long to write this review because I started seeing positive results from day one. My skin has never been happier since introducing it to Sarah Chapman & in my mind that makes these products wholly worth the money. 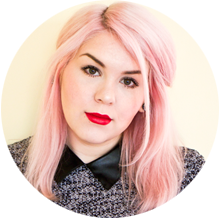 You've probably already heard lots of good things about Overnight Facial which is, undoubtedly, Sarah Chapman's most famous product. The name alone makes it incredibly appealing and just one use of this wonder oil will have you hooked. One pump is all you need for the most radiant, healthy looking glow your skin will ever have. This oil is intended to be used in place of your regular night cream. It moisturises & refines the skin without feeling greasy or heavy. I don't have to worry about half of it rubbing off on my pillow either, the formula is simply wonderful. There are so many amazing ingredients packed into this little bottle! The oil is a potent cocktail of vitamins, peptides, omega oils, skin brighteners, jasmine & rose. It makes my skin feel utterly baby soft & no matter how knackered you feel the next morning, you'll look like you definitely got your beauty sleep. It completely rejuvenates my whole complexion & is a huge confidence booster. There's nothing better for younger, brighter & dewier looking skin. I should probably mention that Overnight Facial has a very strong herbal scent & it's something that you'll either love or hate. I think it smells quite nice actually but something so highly fragranced might not be the best for those with very sensitive skin. Overnight Facial isn't something I use every day as this product feels like such a special treat & I want it to last for as long as possible. Most nights I tend to stick to my Claudia Louch Botanical Face Cream. What can I say? I love me some high performance luxury skincare products! I also own the Sarah Chapman Facialift Massager and these two products work beautifully together. The massaging nodules just feel oh so good in combination with the oil & it helps to firm up the skin, keeping my many chins in check. However if you can only afford to splurge on one of Sarah Chapman's products I would definitely recommend buying the Intense Hydrating Booster. My favourite kind of serums are ones with hyaluronic acid in them & this product is the crème de la crème. Whereas things like Hydraluron can get quite sticky in texture, this booster serum feels silky smooth no matter how much you apply. This product comes with a pipette applicator so you don't have to waste a single drop. I normally apply about five drops, one for each area of my face, before gently massaging it into my skin. You can use it day and night, layered under your regular moisturiser or Overnight Facial. As well as hyaluronic acid, this serum contains moisture magnets & rosewater. It has a thin watery texture that thirsty skin will immediately drink up. It visibly plumps up the skin & rehydrates it too. I find that it really helps my blemishes to clear up faster & keeps redness at bay. It balances out my skin type & makes my face feel fresher throughout the day. The Intense Hydrating Booster will fit nicely into any skincare routine & it's the kind of thing that everyone can benefit from. It's basically the perfect serum for soothing stressed & dehydrated skin. 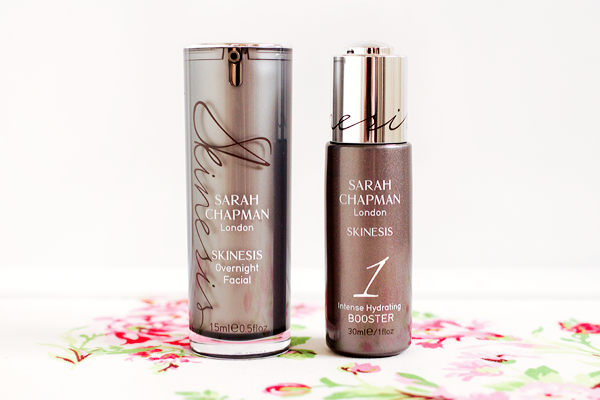 Have you tried any Sarah Chapman products? I'm waiting to finish up my Estee Lauder Advanced Night Repair before trying these items, I can't wait. I have read nothing but good things about these products. I’m currently trying to make my way through my beauty stash and have these on the list to buy next! I love acid products so this sounds ace! Sounds really nice! Will have to explore more about her line!